Fungal infection of toenails is a common, but often underreported foot health problem. A majority of victims don’t seek treatment; maybe don’t even recognize the existence of a problem. Studies estimate that it afflicts three to five percent of the population. 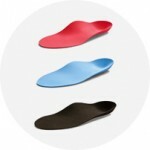 However, chiropodists think that because so many cases go unreported, the incidence is much higher than that. Probably one reason that so many people ignore the infection is that it can be present for years without ever causing pain. Its prevalence rises sharply among older adults (20 to 30 percent, the studies say, though chiropodists think it’s much higher). Because the older adults may be experiencing much more serious medical problems, it is understandable that fungal nails can be passed over as very minor, though it is anything but that. Whatever the case, the disease, characterized by a change in a toenail’s color, is often considered nothing more than a mere blemish ugly and embarrassing. It is assumed that since white markings or a darkening of the nail are minor occurrences, the change represents something minor as well, even when the blemish spreads. It may be that cosmetologists see this condition as often as doctors. Nail polish is an easy solution for many women, rendering the problem “out of sight, out of mind”. In many cases, however, that change in color is the start of an aggravating disease that ultimately could take months to control. Chiropodists refer to fungal infections of the nails as onychomycosis. It is an infection underneath the surface of the nail, which can also penetrate the nail. If it is ignored, its spread could impair one’s ability to work or even walk. That happens because it is frequently accompanied by thickening of the nails, which then cannot easily be trimmed and may cause pain while wearing shoes. 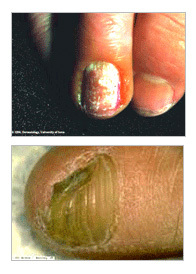 This disease can frequently be accompanied by a secondary bacterial and/or yeast infection in or about the nail plate. When the tiny organisms take hold, the nail may become thicker, yellowish brown or darker in color, and foul smelling. Debris may collect beneath the nail plate, white marks frequently appear on the nail plate, and the infection is capable of spreading to other toenails, the skin, or even the fingernails. Because it is difficult to avoid contact with microscopic organisms like fungi, the toenails are especially vulnerable around damp areas where people are likely to be walking barefoot swimming pools, locker rooms, and showers, for example. Injury to the nail bed may make it more susceptible to all types of infection, including fungal infection. Those who suffer chronic diseases, such as diabetes, circulatory problems, or immune-deficiency conditions, are especially prone to fungal nails. Other contributory factors may be a history of athlete’s foot and excessive perspiration. Because fungi are everywhere, including the skin, they can be present months before they find opportunities to strike, and before signs of infection appear. By following precautions, including proper hygiene and regular inspection of the feet and toes, chances of the problem occurring can be sharply reduced, or even put to a halt. Shower shoes should be worn when possible, in public areas. Shoes, socks, or hosiery should be changed daily. Use a quality foot powder with talcum, not cornstarch. Avoid wearing excessively tight hosiery, which promotes moisture. Choose socks made of synthetic fibers; these socks tend to “wick” away moisture faster than cotton or wool socks, especially for those with more active life styles. Depending on the nature of the infection and the severity of each case, treatment may vary. A daily routine of cleansing, over a period of many months, may temporarily suppress mild infections. White markings that appear on the surface of the nail can be filed off, followed by the application of an over the counter liquid antifungal agent. However, even the best over-the-counter treatments may not prevent a fungal infection from coming back. A fungus may work its way through the entire nail, penetrating both the nail plate and the nail bed. If an infection is not overcome, or continues to reappear, further medical attention is strongly recommended. A chiropodist can detect a fungal infection early, culture the nail, determine the cause, and form a suitable treatment plan, which may include prescribing topical or oral medication, and debridement (removal of diseased nail matter and debris) of an infected nail. Indeed, debridement is one of the most common foot care procedures performed by chiropodists. Newer oral antifungals approved by the Food and Drug Administration may be the most effective treatment. They offer a shorter treatment outlook (three to four months) and improved effectiveness, though chiropodists advise that lengthier treatments, up to 12 months, may still be required for some infections. Current studies show that, for a small percentage of the population, there are some unwanted side effects with any oral antifungal. Trying to solve the infection without the qualified help of a chiropodist can lead to more problems. With new technological advances in combination with simple preventive measures, the treatment of this lightly regarded health problem can often be successful. Are you concerned you may have toenail fungus? Visit the Foot and Health Clinic and have our foot care specialist assess your nails. 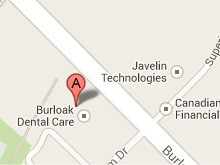 We’re located at 728 Burloak Dr. Burlington, just outside of Oakville. 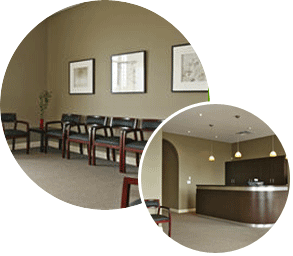 Book an appointment online or call us at 905-632-1414.